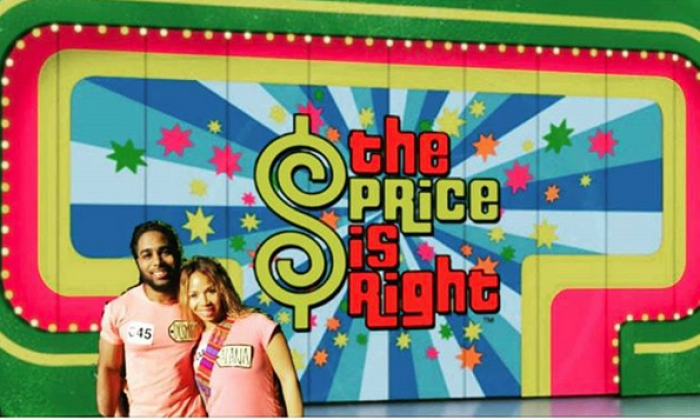 Gospel singer Erica Campbell's brother-in-law was a contestant on the "The Price Is Right" game show Wednesday where he nearly knocked over host Drew Carey. In a video Campbell posted on Instagram, Desmond Jamison, the husband of Erica and Tina's sister, Alana, made it to contestants' row on the long-running CBS game show on Jan. 10. Jamison's energetic appearance on the show kept the Campbell family laughing as he almost knocked down Carey in an attempt to give the host an energetic hug instead of the handshake being offered. "He almost killed him," Erica said between laughs while watching a segment of the show that she posted on her Instagram page. In August, Erica and Tina Campbell announced to fans that they would be ending their popular WE tv series, "Mary Mary." During the series, the sisters showcased their faith, struggles and families on the series that began in 2012. Tina was transparent on the series where as she had to overcome infidelities in her marriage, and said she was grateful for the platform. "I'm so grateful to have shared the last several years of my life, personally and professionally, with all of the supporters of the viewers of our reality show. We've written and recorded songs together, we've released albums together, we've been pregnant together, we've had babies on the show — we've had the worst of times in our families and have had the best of times with our family," Tina said. "You've watch our children grow up. Heck, you've watched Erica and I and the rest of our family grow up over these years."